This 14.85-acre development is the most popular park in the District. 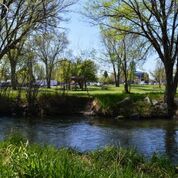 The park is located along Ochoco Creek from Elm Street to the east side of Juniper Street. Facilities at the park include two lighted tennis courts, a skate track, a covered picnic shelter with power, two barbecues, drinking fountain, electrical outlets, picnic tables for 200 people, two basketball courts, modern handicap accessible restroom, wooden footbridge, handicap fishing platform, a large children’s play structure, and an outdoor amphitheater. 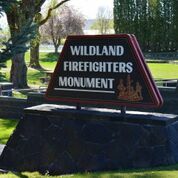 The park is home to two war memorials, a DAR memorial and the Wildland Firefighters Memorial. 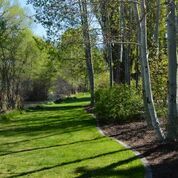 Ochoco Creek Park annually hosts the Easter Egg Hunt and Fourth of July Celebration, and is the home of many marathons and running events.